Emmartee (2012) by Dan Wong depicts life in the Singapore subway system. Cool drawing instruments were what first drew Michael Ng (better known as Mindflyer) into the world of illustration. Since then, he’s progressed from drawing technical diagrams as a trainee draftsman to illustrating surrealistic, psychedelic imagery as an independent—and quickly becoming known as one of Singapore’s leading illustrators. Together with illustrators Andrew Tan (Drewscape) and Lee Wai Leng (Fleecircus), the 50-year-old is also the co-founder of the Organisation of Illustrators Council (OIC), a champion for illustration in Singapore. Who else better than this veteran to give us a tour of the Singapore illustration scene and introduce us to some of its emerging talents? 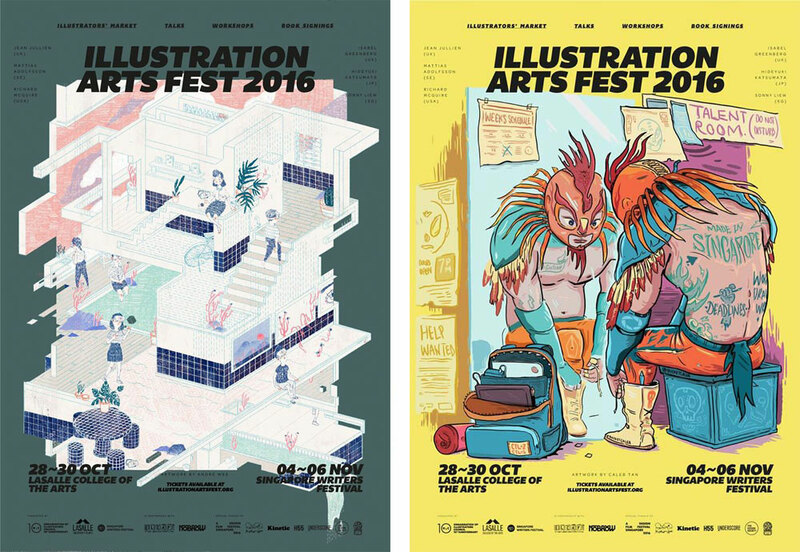 What does illustration look like in Singapore today? Somehow when you talk about illustration here, straightaway people think of anime, conceptual art for production, and even graffiti. Illustration for editorial and adverting is a minority, and this is what we’re trying to change through OIC. There’s just more exposure for the other forms of illustration here through computer games, movies, and anime.